and tell us how we can help you. Email or call 800-959-6112 today and tell us how we can help you. We offer a wide variety of personal insurance specialized just for you. Everything from Auto & Home insurance to Health & Disability insurance. Look below to see what types of personal coverage we can offer to you. The Angel Insurance Agency Services offers a comprehensive number of insurance products that provide you and your family the best possible protection on the road. Whether you are looking for auto or other vehicle insurance, we will work with you to determine the best coverage’s, deductibles, and payment options for you. If you don't have insurance or have experienced cancellation or refusal by another company, a few traffic tickets, one too many accidents, citation for driving under the influence, difficulty obtaining insurance for your high-performance car; or if you want a more convenient payment plan, give our experienced staff of insurance agents a call. We can help keep you on the road!! RV’s, Campers, Motorcycles, ATV’s, Boats and more. 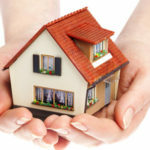 YOUR HOME - When insured with our replacement coverage, you get full cost to repair or replace without depreciation. OTHER BUILDINGS ON YOUR PROPERTY - When not attached to your dwelling or used for rental, 10% of the dwelling amount carried on your home is provided. Higher limits are available. PERSONAL PROPERTY - Coverage under the policy is extended to include the full cost of repair or replacement of your personal belongings. Some special limits apply. LOSS OF USE - Pays for additional living expenses if you could not live in your home due to a covered loss. PERSONAL LIABILITY - Coverage available up to $1,000,000 for accidental Bodily Injury and Property Damage to others that you are held legally responsible. Higher limits are available. MEDICAL PAYMENTS - Pays up to $1000 for medical payments to others for any reasonable medical, surgical, hospital, ambulance, professional nursing, and funeral services. Higher limits are available. TENANT - Provides personal property coverage for renters. DWELLING FIRE - Provides coverage for dwelling and structures. Appropriate for rental property. **JEWELRY, WATCHES, FURS, ETC - There is a $1000 maximum limit on jewelry, watches, furs, precious and semi-precious stones for loss by theft. 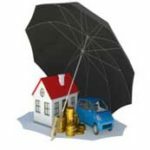 These items can be insured on a broader coverage basis for the appraised value for an additional premium. 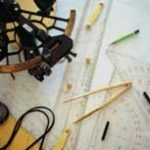 This category of insurance includes property coverage for construction equipment, medical diagnostic equipment, fine arts, solar panels and wind turbines, cameras and movie equipment, musical instruments, and a wide variety of other types of property. Today’s health care costs are getting higher and higher. In addition to regular care, who pays the bills if you have a serious illness or accident? 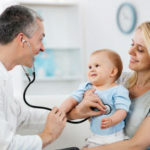 What’s the difference in a fee-for-service, HMO or PPO? Whether you are an individual or a business seeking to provide coverage for your staff, it pays to study your options and shop carefully. Our specialists will be happy to evaluate your needs, present options and provide guidance in determining the right policy for you.